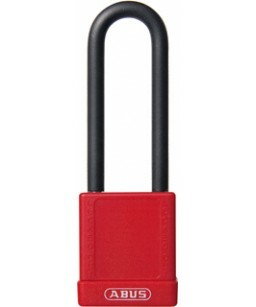 The new ABUS 74 Lock Out Safety Padlock series is a fully non-conductive padlock with an insulated shackle. The mechanism has a key retaining cylinder to prevent the lock being snapped shut without the key holder present. 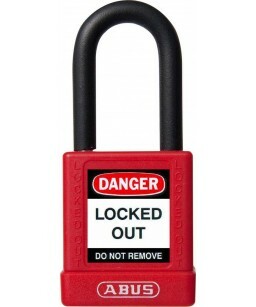 For added security these Safety Padlocks are only provided with a single key. This prevents two keys being accidentally distributed to more than one person. There are 9 colours in the range Black, Red, Blue, Green, Yellow, Orange, Purple, White and Brown.